Do you want a homemade cookie icing recipe that you'll use again and again? Decorating icing is so easy and quick to make, and the icing flows on and hardens just right every time. You'll love it. There's nothing like a homemade sugar cookie with icing to tempt your sweet tooth. 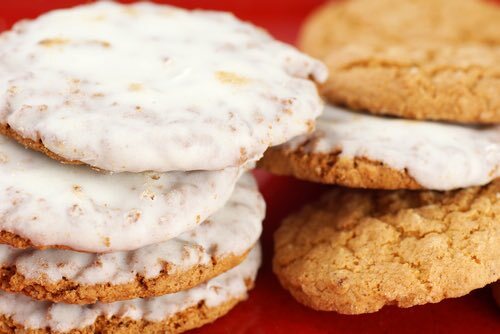 Not only does the icing add flavor and richness to the cookie, but it adds a tantalizing appeal. A tray of colorfully frosted cookies can turn any dessert table into a work of art. Decorate your homemade cookies and watch the delight in the eyes of your guests. Let your creativity flow. Bring to boil equal amounts of granulated sugar and water. Stir occasionally until sugar is completely dissolved. For thicker glazed, reduce by cooking and stirring occasionally until you reach consistency desired. Remove from heat and allow syrup to cool to room temperature. Brush over cookies or cake, or drizzle using a spoon or measuring cup. 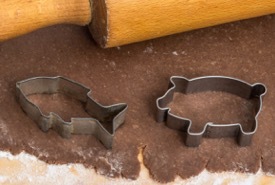 Great for either cookies or cakes. Stir sugar and milk together in a bowl until icing mixture is smooth; beat in corn syrup and vanilla until icing mixture is smooth and glossy in appearance. Add food coloring to desired shade. Ice cookie and set aside for the icing to harden to a nice glaze. Whip ingredients together until thick enough to spread. For chocolate frosting, add 1 cup cocoa. For colored frosting, add food coloring as needed. 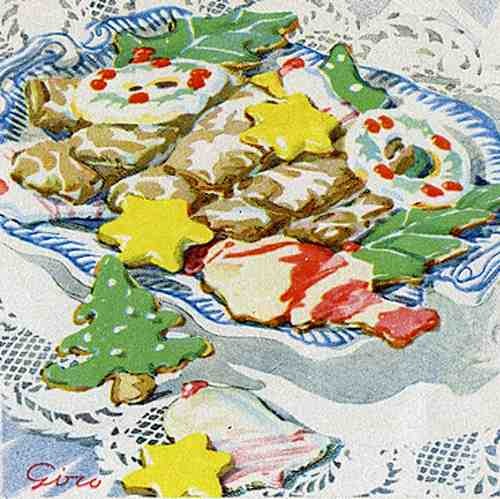 This original cookie icing recipe was invented by Miriam, a regular visitor to this website. She accidentally discovered a great way to make cookie decorating icing using ice cream. That's right, ICE CREAM. "I accidentally found a great frosting recipe for decorating cookies. It is so simple and hardens quickly so that you can stack the cookies. I had run out of milk one day while decorating cookies. So, I melted some vanilla ice cream and added powdered sugar — and it was perfect! Our heartfelt thanks to Miriam. My, isn't she clever? Vanilla ice cream works great with powdered icing sugar for making decorating frosting, but you can also experiment by using plain chocolate or strawberry ice cream to add a subtle flavor and tint to the frosting. What do you call it, Frosting or icing? Really, it's both; they mean the same thing. Some cooks consider frosting softer and icing harder, but the term that's used often depends on your location. 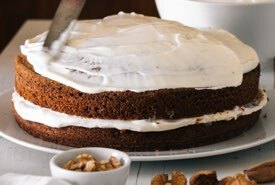 It's most often called icing here in Canada and in the U.K., while frosting appears to be the term commonly used in the U.S. But, whatever you call the sweet, spreadable mixture, it looks great and tastes even better.